Virat Kohli Heaps Praise On Mohammed Shami, Says "His Test Form Has Translated Into ODI Cricket"
Mohammed Shami was adjudged player of the match for his impressive bowling spell of 3/19 in Napier. Following India's convincing eight-wicket win in the opening match in Napier, Team India skipper Virat Kohli heaped praise on premier fast bowler Mohammed Shami, who was adjudged player of the match for his impressive bowling spell of 3/19. His spell included two maiden overs. 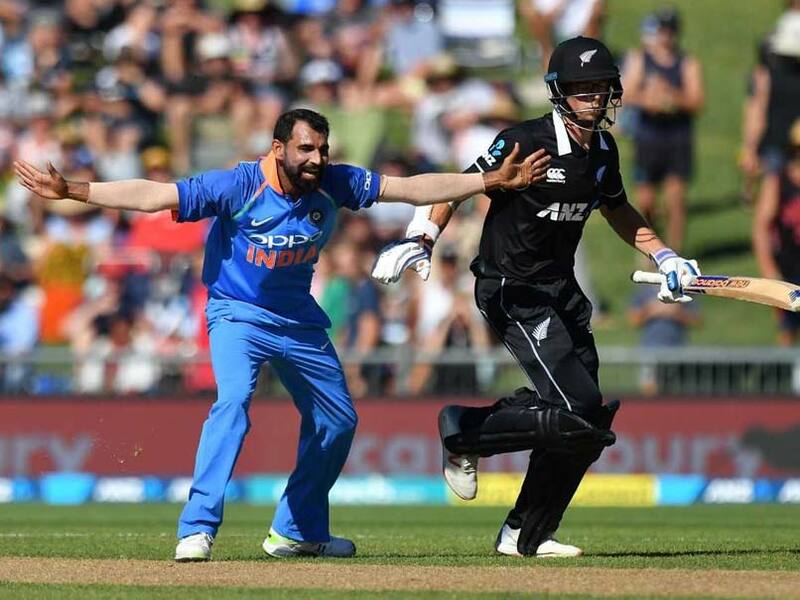 Shami picked the wickets of Martin Guptill, Colin Munro and Mitchell Santner, which made him the fastest Indian bowler to reach 100 One-day International wickets. He achieved the feat in only 56 matches. Prone to injuries, the 28-year-old represents Bengal in domestic cricket. "The fast bowling group together believes they can knock any side over. And the belief in his (Shami) own ability and his fitness - this is the fittest I've seen him in his career. And his Test form has translated into one-day cricket," Kohli said at the post-match presentation. "It was one of our more balanced performances in the last few games. When I lost the toss, I thought it was going to be 300 par. 150-odd on that wicket was superb," Kohli said. Kuldeep Yadav was the top wicket-taker for India with impressive figures of 4/39 in 10 overs. "The pitch got slow in the second half of the innings but in the first half, the spinners bowled well, cramped the batsmen and they still made it difficult despite the dimensions of the field," Kohli said. Kohli also praised the efforts of opening batsman Shikhar Dhawan who made an unbeaten 75 runs in India's run chase. "Really important innings for Shikhar and we spoke during the sun break that he needed to finish the game to get some momentum. He is a dangerous player when in rhythm," Kohli said. "It wasn't our best effort. We expected India to be good and they were very good. We just had to get through the slower balls but I do think their lengths were immaculate," he said. "Obviously 150 on the board on a surface where 250 was par was hard. It was lack of adjusting to the surface. All the Indian bowlers contributed but we do need to be better," he added. But he did touch on the positives as well. 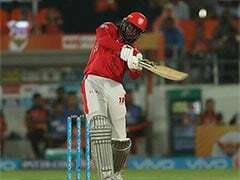 "I do think our energy in the field and with the ball was good though and we need to move on from this game quickly," he said.